Calendars by Readdle App Data & Review - Productivity - Apps Rankings! 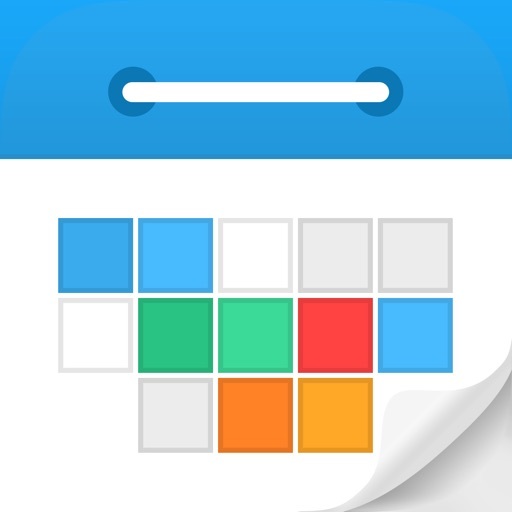 Calendars is the most elegant and easy to use calendar application available on the App Store. It works perfectly with Google Calendar and built-in iOS Calendar. 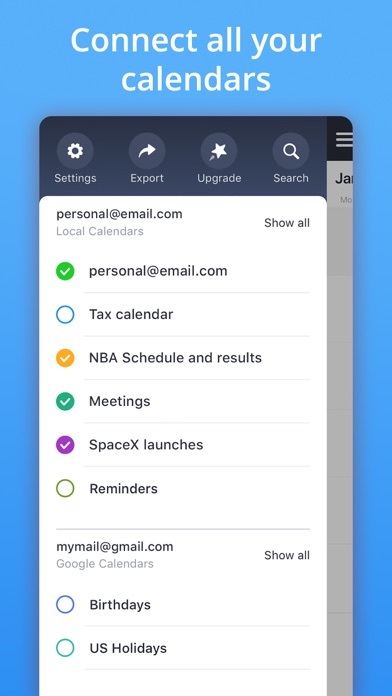 Calendars allows you to manage events both online and offline. 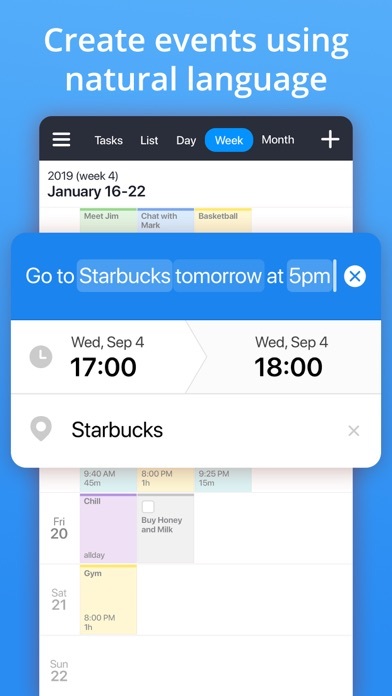 Thanks to the unique interface you can move events simply with Drag & Drop, navigate quickly between dates, change event time and reminders rapidly with custom keyboards. 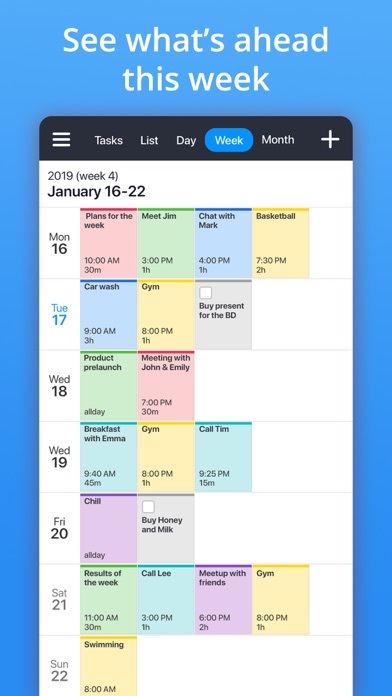 Calendars supports everything you can find in Google Calendar: appointments, reminders and more. Sync is really fast and your information is always up to date. Calendars illustrates your Day, Week and Month on a small iPhone screen the best possible way. Depending on the situation, select the view that conveniently unveils your schedule. It's one of the best apps for the iPad. The iPad large screen is great for managing your daily schedule and enables richer interaction with your calendar. Sync with Google Calendar works really fast and keeps your schedule thoroughly. You can move and change the duration of your events in a Day, Week or Month view with Drag & Drop. Just tap and hold on the event to activate it. You can create, edit and delete events at any time. All changes will be synced back to your account once you are online. 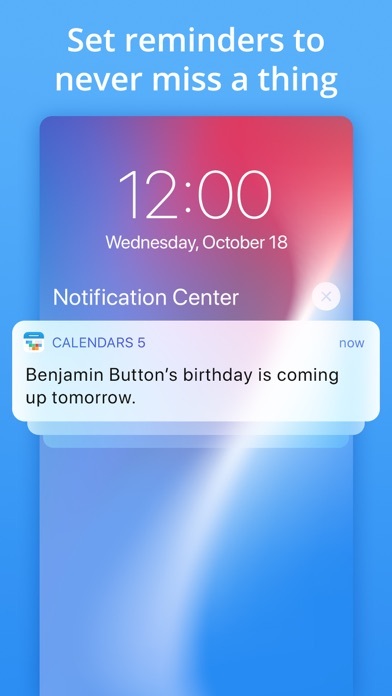 Appointment time and reminders can be defined twice faster than in the built-in iOS calendar, all thanks to custom keyboards. You can search for events by name in the List view. Tapping on the status bar will show you a search field. 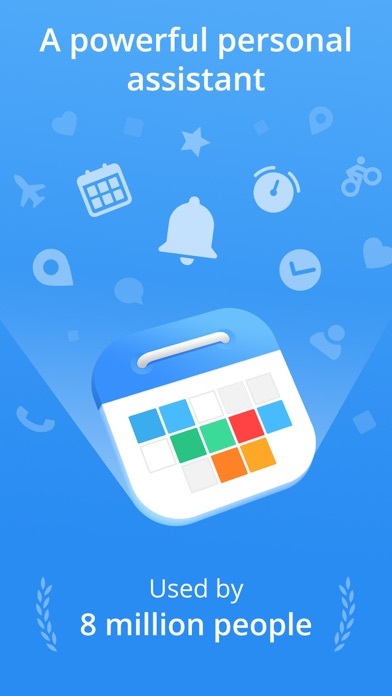 The applications Calendars by Readdle was published in the category Productivity on 2013-03-05 and was developed by Readdle Inc.. The file size is 106.00 MB. The current version is 5.14.2 and works well on 10.0 and high ios versions. 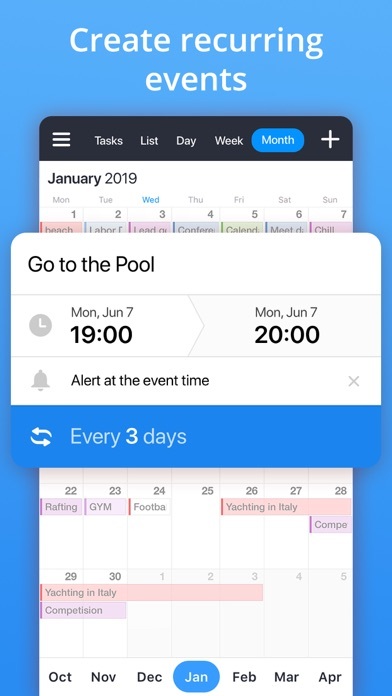 Do you like Calendars by Readdle applications? Please share! How do I make this my watch face??? I LOVE this app. 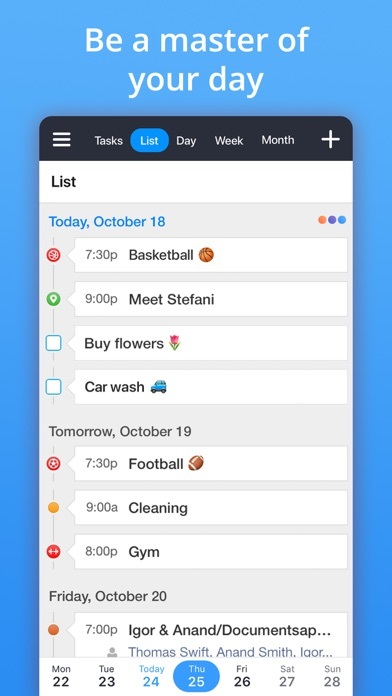 I can see my schedule of events and list of daily to-dos all in one view. 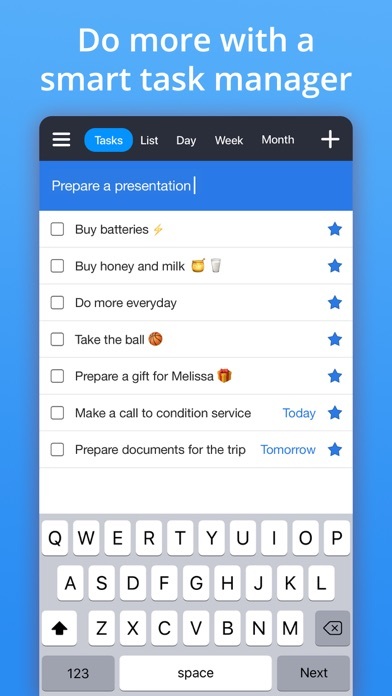 Or you can see the entire list of tasks in one view. The layout and color scheme is pleasing to the eye. 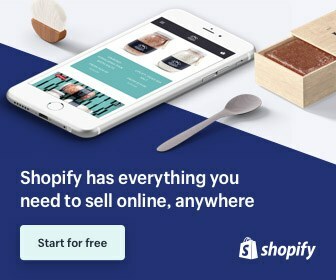 It is easy to add items. It is easy to check off completed tasks. It’s just great perfect. Love it. Have used this app for years, and now hey add a superb search function which blows google calendars out of the water. I love the new update and will keep using I’m sure for many years to come. Actually I hit 3 stars but it went to 4. I like the layout & options, flexibility with customising repeat activities. Don’t like when you add an event such as Christmas drinks and it changes the date you selected to the 25th Dec. 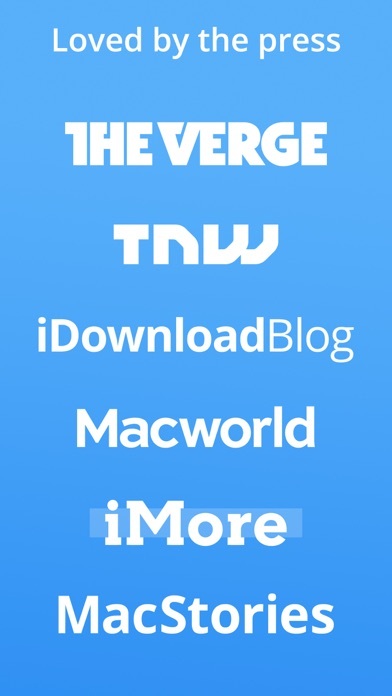 I haven’t found a way to remove old contacts for the list either. I’ve found this app very useful and like the different options to colour code and view. It’s great to print. The only change I would ask for is that colour coded events printed in the same colour as opposed the the calendar colour. Otherwise great app! After update - Apple watch widget does not work. Love the visibility this gives, I like to be able map out & see my month with details. Not just a dot on each day . I paid for the full subscription and it’s saying the interesting calendars need to be upgraded.. not happy.. I love this calendar so much. It keeps me informed on a lot of business and personal life things. I love that I can personalize it to my liking. I really love that it can hold so much information. Thank you so much. This is far and above the best calendar app I have found. I only wish there was a Windows version I could use on my computers. I hate apps that use Google calendar. I cancel the alarm, then it duplicates the alarm and I have to cancel it again for every event! So annoying. I like it, but it deletes the previous months calendar events which I don’t like. Sometimes I need to look back at a certain date and it’s all gone. I love how I can color coordinate and easily look at my calendar when looking at a months perspective and see what I have to do for the month. I’m a musician, and clean so I like to keep it all easily separated. Awesome and extremely easy to use. Love that it syncs to my Google cal. I input calendar items at work and then have them available for a quick view when I’m on the go through this app. Love it. Wish I could give 5 Stars Love this app have been using for years. All of a sudden within last week when I try to set an appointment it only allows me to set it for the next day. Not a month or 6 months in advance. Please fix this I don’t want to have to delete app because it’s not working right. This calendar is so easy to use and I absolutely love that I can see the whole month with all my plans showing at one time. Unlike the Apple calendar that comes on your phone that only shows a dot if you have something scheduled on a specific day but you won’t know until you click on that day what is really going on. I also really like scheduling plans in different colors...one color for work and one color for personal. Helps keep me organized!